Standard and Poor's has cut France's credit rating, apparently concerned that France can't rescue itself from its current financial troubles. For would-be expats, this is important. When my wife and I were considering options other than Paris, Cyprus was one location that I was looking at because it looked great: it was inexpensive, great weather and part of the EU. And then the financial crisis hit and it looked, at one point, like everyone with a bank account in Cyprus was going to have funds stolen by the government. Cyprus would not have been a particularly brilliant move on our part. So yes, you want to know if the economy in your target country is stable and many people may be legitimately concerned about France. In fact, I regularly get email from people who are worried about Europe in general. With half of the US poor or in poverty, it seems strange to think that Europe is worse off, but when S&P and others sound the alarm, people get nervous. There's only one problem with Standard and Poor's credit rating cut for France: S&P is full of merde. Unfortunately, to understand their error, you need a lot of background. You don't need to fear moving to France, though exercising caution wouldn't be a bad idea. In order to understand that, I have to provide some background to help understand Standard and Poor's decision. 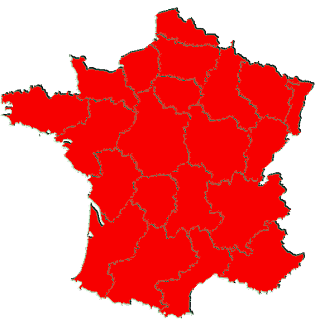 The French President, François Hollande, is a Socialist. This differentiates him from President Barack Obama, who is not a Socialist, despite what certain blowhards claim. 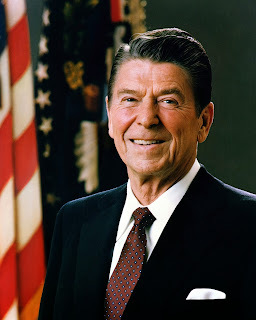 In fact, real Socialists over here in Europe laugh themselves silly at Americans who claim that Obama is a Socialist. This is because Socialism – which has as many variations as Capitalism – is basically collective ownership of an economic activity. The collective, in this case, is a community or state. For example, when you buy a home in an exclusive gated community in the United States, you often pay dues to the community and the community often provides private security for residents. Even though the security is "private", it's collectively owned by the local community. That's an example of Socialism. In the wider world, police departments, fire departments, basic education, and many other services are provided for by taxes and run by federal, state, or local governments, thus fitting the textbook definition of socialist. As a somewhat ironic example, the US military is a branch of the government, so the free medical care it provides to its service members is also socialism (there is no requirement that an activity benefit everyone for it to be socialist). Thus, in the US, there are many, many examples of socialism and the US public generally don't mind in the slightest, so long as you don't call it what it is. Ronald Reagan didn't call for privatizing the police. Does that make him a Socialist? George Bush didn't want to privatize police departments. Does that make him a Socialist? Though many Republicans want to privatize Social Security, basic education, and keep health care private, at the end of the day, all but the most extreme Republicans are happy about the collective ownership of many basic services. The silly cries that Obama is a socialist stem from those who prefer a regressive income tax and less regulation — particularly of the banking industry at whose trough they feed. And yes, this relates to S&P's downgrading of France's credit rating, but that will have to wait a bit. Amongst mature economies, you won't find any "pure" capitalist economies, nor will you find pure socialist ones. There's a socialist spectrum and your country falls somewhere on it. In this case, France happens to be more "left" than the US. Unfortunately, the US Republicans have been arguing for so hard and so long that the Federal Government doesn't work that they now have a perverse incentive: they can't try to made the Federal Government work better because if they succeeded, this would put the lie to the message they've been spreading for years. A case in point is the Affordable Care Act. Every major nation aside from the US has found a solution to providing health care for its citizens, but the Republicans claim, falsely, that the US has the best health care in the world, when even a brief survey of world health care systems reveals this to be untrue. The Republicans make all sorts of wild claims, but at the end of the day, they know that if the US government manages to ensure that all are insured, the Republicans will have trouble explaining why health care for all and the end of medical bankruptcies is a government failure. [A]nalytic as well as intuitive processing favors the acceptance of messages that are compatible with a recipient’s pre-existing beliefs: there are no elements that contradict other things one knows and the message is easy to process and “feels right”. In other words, once you get someone to believe a certain way, the lies you tell that reinforce those beliefs are easy to swallow. Today, since much of the Western world is dominated by large industries, such as banking, pharmaceuticals, petroleum, and so on, we have rich politicians who further enrich themselves by playing along with industry. In the case of the world financial crisis, while the masses struggle, the rich are making a killing, and it's not just in the US. That leads us to ask: why have we followed years of austerity during the current crisis? Who is it helping? Austerity causes a government to shrink, or at least halt the increase of, its spending. It's an attempt to reduce budget deficits. You can do this with cutting spending, or increasing taxes, or both. However, those on the right strongly object to raising taxes because they're quite happy with the wealth they're accruing, thank you. And hey, raising taxes is Socialist!!! We know by now that the primary economics paper used to support austerity was riddled with mistakes and math errors. We also know that Germany is quite happy with austerity, but they're in a curious situation. They have high productivity and their relatively low German wages means their goods are very competitive. Normally when a country sees their exports increasing, the value of their currency increases due to higher demand, thus pushing up the prices of their goods and reducing demand. Strong national exports are usually self-limiting. 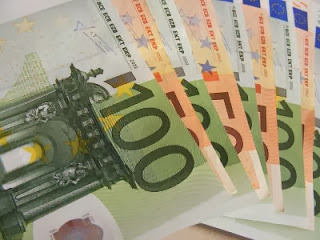 However, Germany has adopted the Euro, meaning that the value of their currency can't increase relative to their major trading partners, thus capping the prices of their exports and keeping their exports strong. Thus, German business is very happy with the current state of affairs, despite the pain it's causing others. France has trouble competing in this arena because French minimum wages is €9.50 an hour, but many Germans are earning less than €6 an hour. Germany is building their economic empire on the backs of cheap labor, while France is insisting upon fairness. However, France isn't cutting her budget, she's raising taxes. Thus, much of the business infatuation with austerity has led many people who should know better to assume that France is doing it wrong. So what happened when S&P downgraded France's credit rating? Nothing much. In advanced economies, revenues (relative to GDP) have rebounded to near precrisis levels—reflecting frequent recourse to tax measures to narrow fiscal deficits. Indeed, relative to initial plans in 2010, revenue increases have in many countries outpaced expenditure cuts by enough to shift the overall policy mix more toward the tax side (Figure 7). Ex ante, about 30 percent of large adjustment efforts were intended to come from the revenue side; in the event, the increase in revenue was about twice as much as projected, so that ex post, this share has increased to about 40 percent. In some cases (including France, Iceland, Slovenia, and the United Kingdom), tax measures made up for shortfalls or delays in expenditure measures. In only a handful of countries (for example, Japan, Spain, and the United States) have revenues underperformed relative to original plans, and there they were partly offset by a reduction in spending—except in Japan. I guess the IMF is a bunch of goddamned socialists too. Investors want a return on their money and they're going to be careful where they put their money and they're not too worried about France, even if S&P is sounding the alarm. Paul Krugman, love him or hate him, explains the problem nicely when he points out that S&P is worried about Hollande's refusal to cut the French safety net and they're ignoring the actual numbers. France is struggling like much of the world, but there's not much to suggest that we're going to have an economic collapse any time soon. In certain respects, France has fought its way quite well through the post-2008 European financial crisis and economic recession. Most of the banking system is stable. The cumulative loss of national economic output is below the eurozone average. Government bond yields are exceptionally low. France boasts world-class companies such as Air Liquide, Danone and L’Oréal that are emerging stronger than ever from the crisis. So for those who think national economies are all about cutting costs, it's not. Reading textbooks is OK, but paying attention to the real world is better. And for would-be expats looking for new horizons, forget about what politicians say and what your preconceived notions are: the world doesn't really pay attention to op-ed columns (even Krugman's). Yes, any place you move to has an inherent risk and I won't pretend that it doesn't, but it's pretty hard to evaluate that risk when politicians and business are more interested in ideology than information.